“What a surprise! Beans and rice.” Not that I have anything against the protein-efficient combination, but after of month of it for every meal, the general tone is that we have had enough. For breakfast today, we are heading to town again – our Saturday tradition. Thanks to the lovely Instagram of Paul H.S.E. Jose greets us again with a smile as he asks, “How many coffees?” With the busy life of IB during the week, we treat ourselves to the sweet coffee with cream on a weekend morning, but today we will just be having one as we try some of their other specialties as well. The mist is hitting the deck as we sip our drinks and enjoy the break from school-life for a bit. We chat with Jose and amongst ourselves as the morning passes. Then time catches up with us and we bid them farewell as we venture into the small town again. Oddly enough, we picked up a little friend along the way, Fred. I must say, however, we didn’t know Fred before because the stray pup just randomly decided we looked nice enough to follow. 45 minutes later we found ourselves planning on how to get the little guy to stop following us due to his unfortunate mindset that cars are evil and he must bark at every one that passes. We also can’t exactly take him back to the campus with us… and Paul wasn’t exactly Fred’s biggest fan. Now the bus with the other students have left and we have the rest of the day at our finger tips. We look around town, peaking down side streets, and hiking up and down the steep hills before deciding which way to head. Then we come to the consensus that a walk back to the campus wouldn’t be bad. It is about a two hour hike through the hilly region of Monteverde, but we have been in Costa Rica for quite some time now without having seen the view on foot – it just doesn’t look the same through a bus window. 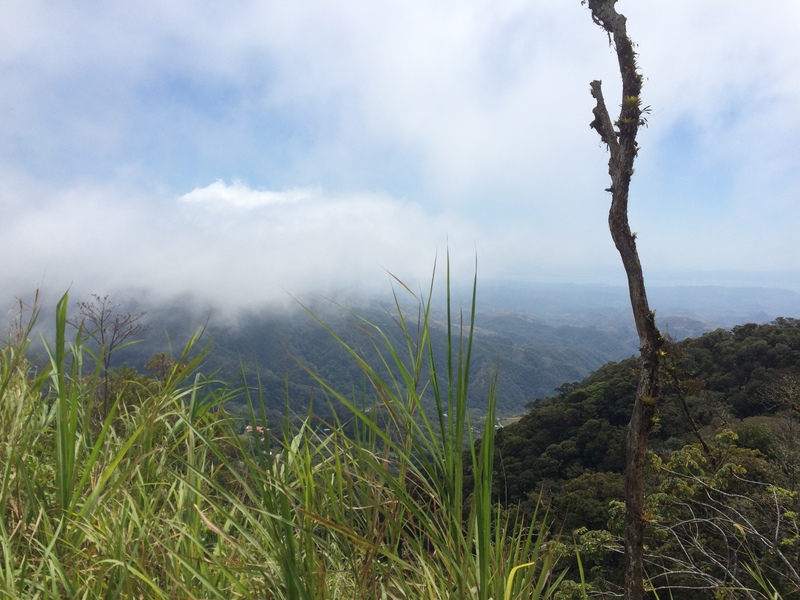 The view isn’t bad – living in the Cloud Forest and all. The way back was windy enough to knock your socks off – or at least my sandals once or twice. Jake and Joshua leaned into the wind, scarily close to the edge of the mountain. This, however, wasn’t as nerve wracking as the motorbikes that zipped through the hills; I don’t know how safe I’d feel going that fast down a hill like this. And the tale of this day is coming to a close for now – might not be a lot to say but it was nice to get a day away. I have about two weeks of studying left and one week of exploration in Costa Rica. Hopefully my “adventure stories” will get a bit more fun during that week – but until then, here are a few pictures to show what I have been up to. 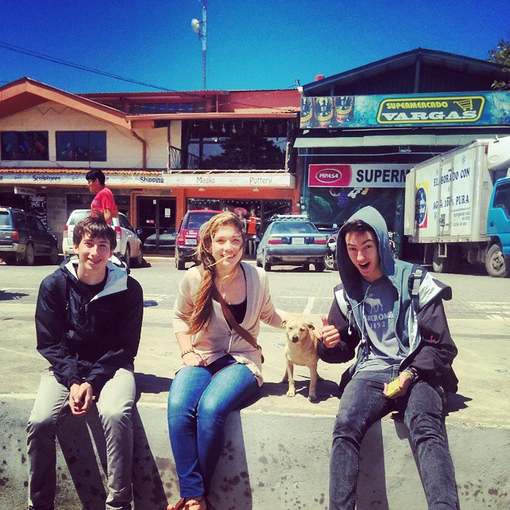 Tags: coffee, costarica, dog, g11, mountains, pictures, tgspuravida, update. Bookmark the permalink.